I grew up on the Oregon Coast which means I have lots of love for the area and since my creative business depends on staying inspired, we try to spend some time everyday (rain or shine) hunting for inspiration. Living on the coast I get all kinds of emails from people asking where to visit and what to see. 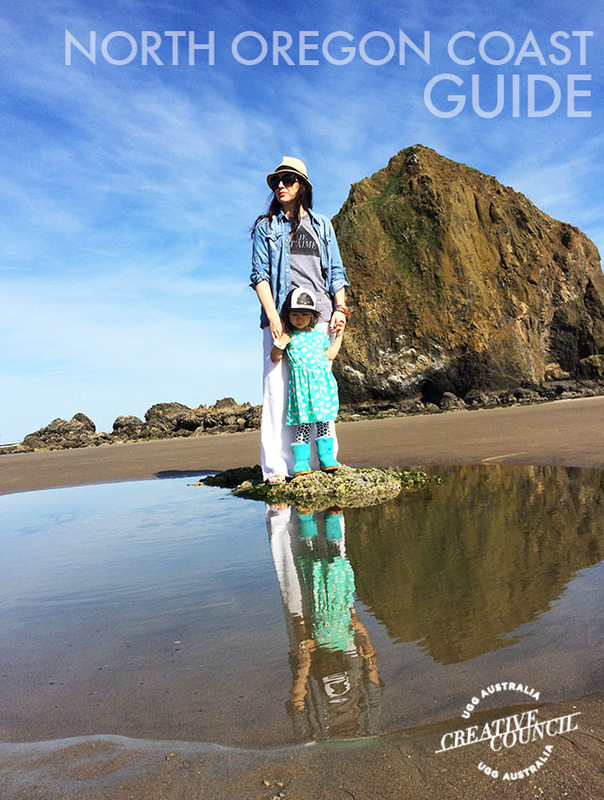 Finally I have put together a little North Oregon Coast guide and while I have a bazillion favorite places, I've narrowed it down to my top 5 favorites in the area plus a little behind the scenes video. Enjoy! 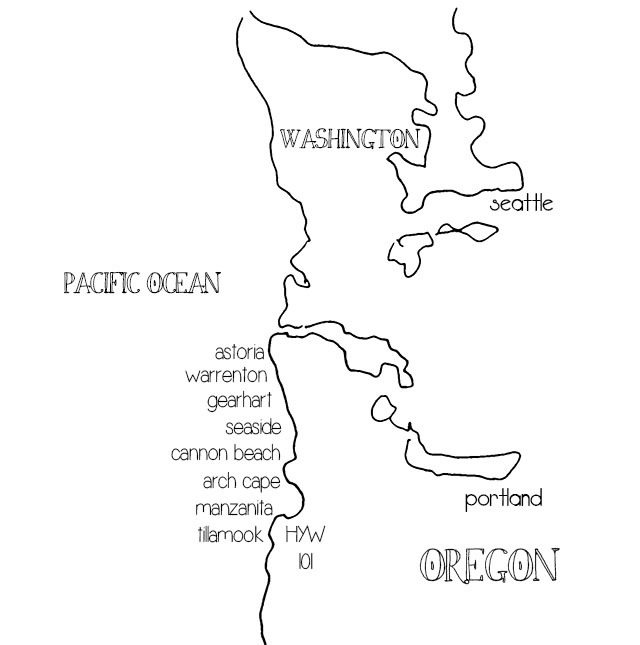 The Oregon Coast stretches 363 miles along the Pacific Ocean. 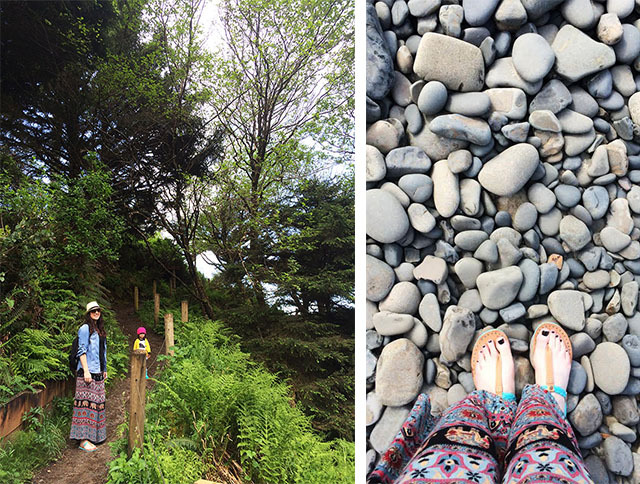 From sand dunes to tide pools to trails and old growth forests, there are so many places and things to explore. We live on the North Oregon Coast and our regular stomping grounds typically run up and down HWY 101 from Astoria to Tillamook. I never get tired of the beauty and endless source of inspiration that the coast provides and today I am excited to take all of you along with us. oregon coast from Alisa Burke on Vimeo. 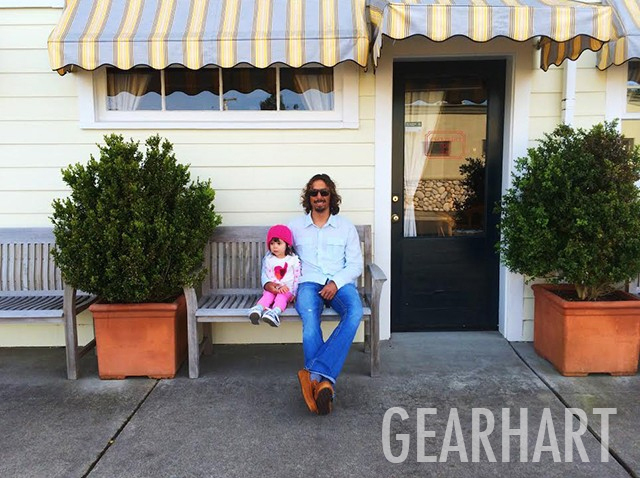 Gearhart is a little town 3 miles north of Seaside that often gets overlooked because it is off the beaten path. With only one street running through town (with no traffic lights) and a handful of businesses, it is a quaint community with cute homes, miles of sand dunes and empty beaches. 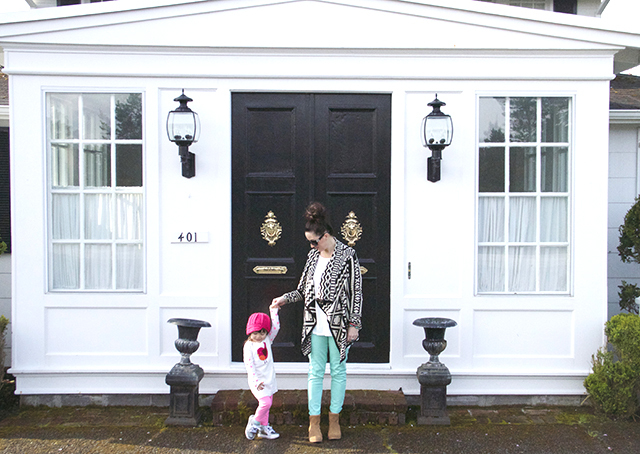 Gearhart is filled with quaint beach houses. I love taking walks through the neighborhoods looking at the architecture, gardens and yards. Spring is our favorite time of year to go walking through the dunes in Gearhart. The beach grass is bright green and makes for a fun kid friendly hike. We love taking a stroll down main street and stopping at Pacific Way Bakery and Cafe for a blackberry scone. 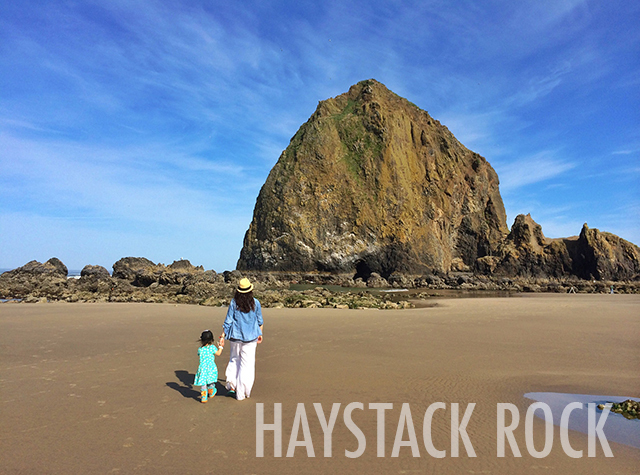 Haystack Rock is a 263 foot monlithic rock and it is a MUST SEE if you visit the Oregon Coast. Visitors can view all kinds of marine wild life in and around the tide pools. Located in Cannon Beach Oregon, Haystack Rock is surrounded by miles of rugged beach perfect for long walks, picnics, kite flying and sunset watching. Since we only live 6 miles away, we spend a lot of time here soaking up the beauty (it never gets old), taking photos and playing on the beach. The morning and evening are my favorite times to take pictures of Haystack Rock- I find that I am able to capture some really great color and reflections. And while it is fun to get up close to the rock I prefer taking a long walk to either the north or south end and taking photos of Haystack from a distance. The rocks surrounding Haystack are called "The Needles" and while Haystack typically steals the show, The Needles make for great photos too. 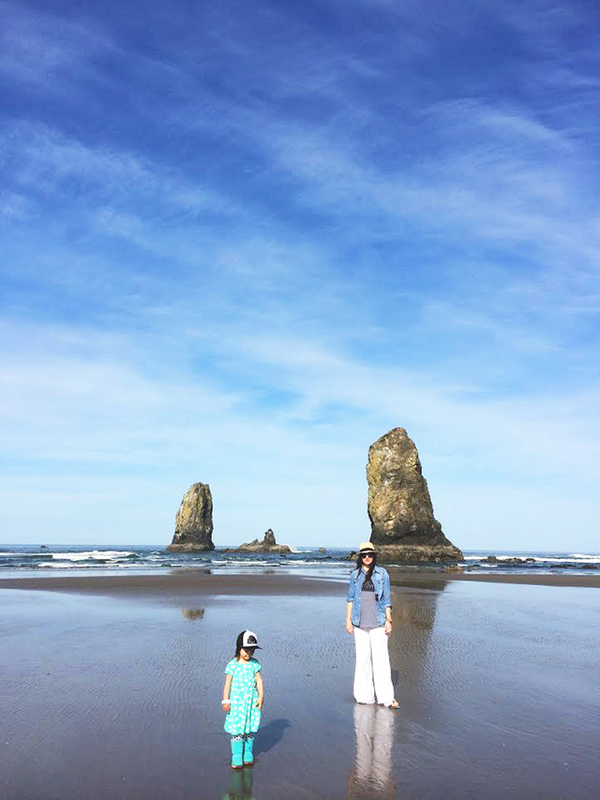 You can't visit Haystack Rock without heading into Cannon Beach. This charming little town has galleries, restaurants, shops and lots of lodging. 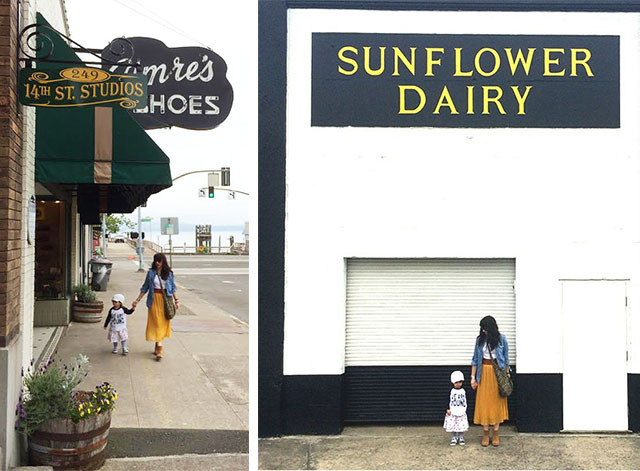 We enjoy eating lunch at Ecola Seafoods, stopping for coffee at Sleepy Monk Cafe, picking out candy at Bruce's Candy Kitchen and browsing through galleries. 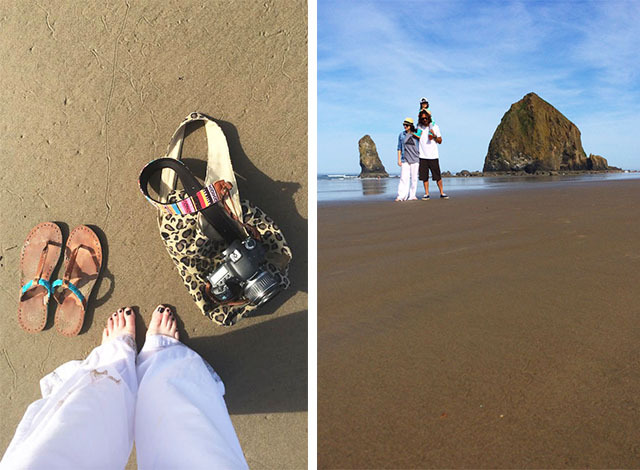 Head to the north end of Cannon Beach to watch the sunset. This area is a little more off the beaten path and less crowded. We love to climb the sand dunes and capture the sunset and Haystack Rock in the distance. Located at the north end of Cannon Beach is Ecola State Park and it is one of my favorite places in the world! From the parking lot, trails lead to several breath taking viewing points. From one end you can see all the way down the coast including Haystack Rock, on the the other end you can see "Terrible Tilly" the Tillamook Head Lighthouse, on clear spring days you can even do a little whale watching from above. This is the first place we always take visitors because it so perfectly embodies the amazing beauty of the Oregon Coast. If you like to hike take the Tillamook Head trail. 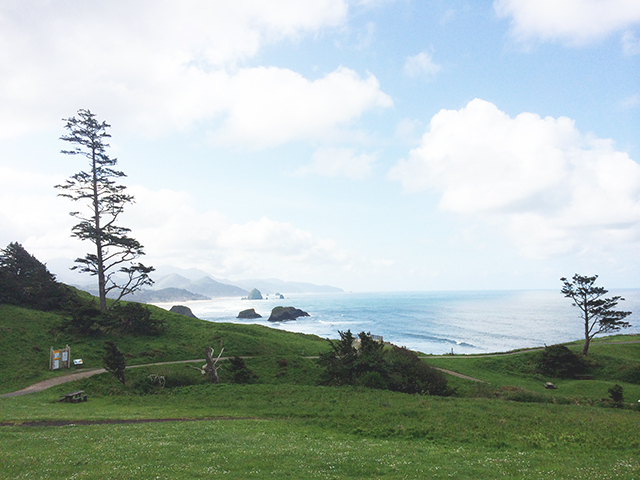 It is a 6 mile hike that runs from Cannon Beach to Seaside- the trail is the same one followed by Lewis and Clark. We like heading up to Ecola State Park with dinner. Picnic benches are scattered around the park and make for some amazing views while eating. Watching the sunset on a clear summer evening is one of my favorite things to do here. Positioned high above the ocean you feel like you are watching the sunset from the top of the world. Indian Beach is located within Ecola State Park and just a few miles up a winding road from the Ecola lookout. It is a CRAZY beautiful beach surrounded by rugged cliffs, green forests, waterfalls and tide pools. With waves to surf, trails to hike and sand for playing, Indian Beach is one of our families favorite places to hang out. While there is a HUGE staircase for beach access, take some time to hike the trails down to Indian Beach. A short hike through the giant ferns and old growth trees is good for the soul. Indian Beach is one of my favorite places to look for smooth stones- for some reason the stones here are exceptionally smooth! Lucy and I could spend hours playing and hunting for unique rocks. During early spring you can find all sorts of little waterfalls coming down the rocky cliffs. We like to hunt for waterfalls as we walk the beach. The north end of the beach is great for exploring tide pools during low tide. 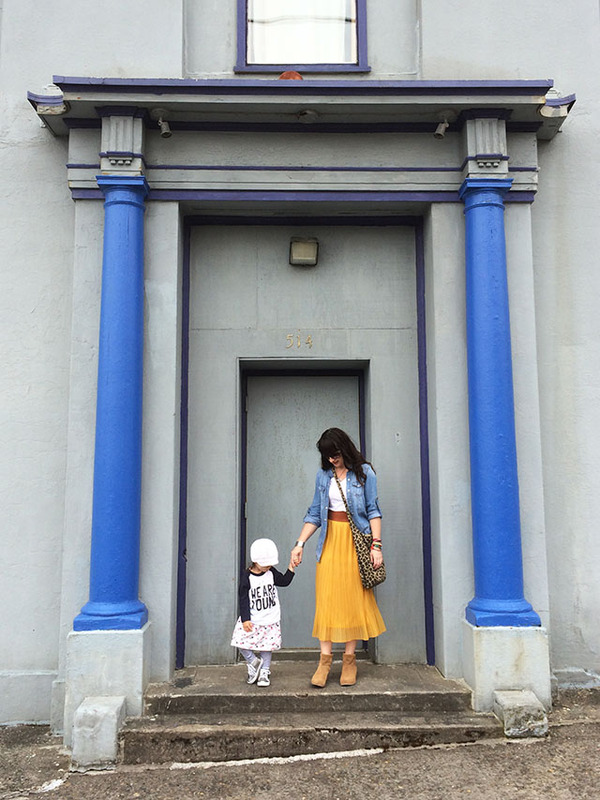 Located on the south shore of the Columbia River, Astoria is one of my favorite little cities to go to when I am looking for inspiration. It is often called "Little San Francisco" because of its steep hills and beautiful Victoria homes. 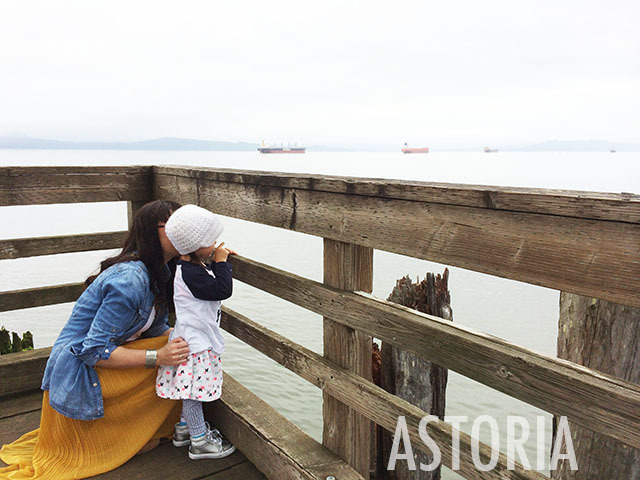 From an impressive 4 mile bridge to historic (and quirky) architecture to great restaurants and miles of waterfront, we find ourselves spending lots of time in Astoria. Head to the Astoria Column for one of the best views in town. 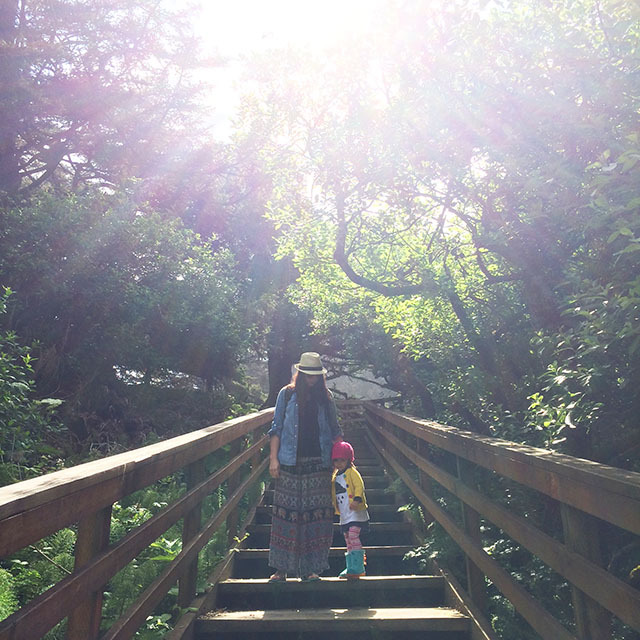 Climb all 163 steps of the column to experience stunning views of the Columbia River, Youngs Bay and the Pacific Ocean. During the summer, we love riding our bikes along the Astoria Riverwalk- a path that runs along the entire waterfront. It is a fun ride where you pass fish canneries, sea lions lounging on docks, historic buildings and ships passing through the river. We like to hit up the Astoria Sunday Market for fresh produce, art, craft and great people watching. Take a ride on the historic Riverfront Trolley. In operation for over 100 years, the trolley takes passengers throughout downtown along the waterfront. Hi I love your video what a beautyfull area you live in and what a wonderful place to bring your little girl up. 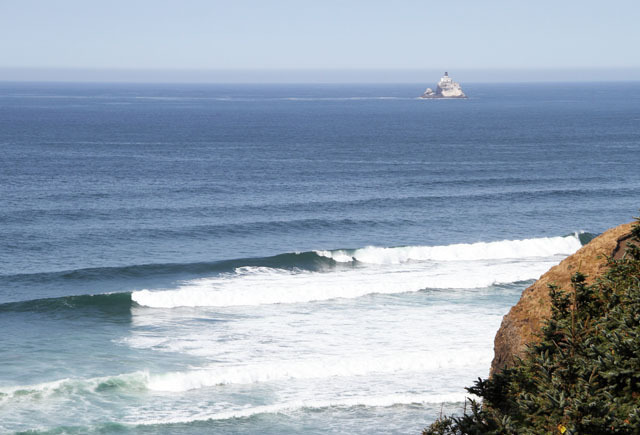 I lived in Tillamook and Coos Bay - I don't think you can go wrong anywhere on the Oregon coast! Even in bad weather, it's spectacular! I enjoyed watching your video...thanks! I'd love to visit Oregon someday! I so love all these pictures, I dream of visiting the beautiful state someday!! thank so much for sharing this. I just love these pictures. I can't help but think back to my favorite movie from my childhood when I see the name Astoria (Goonies):-) . And Haystack Rock is so beautiful. One day I would love to come and visit the area. i love the pictures and i love that you are able to share these beautiful pictures and it's with the Family!!! that what i love the most is that you have the time to spend this with the ones you love and care about so much! that is a blessing!!! Family!!! love it!!! I've never really heard much about North Oregon coast, but now I really want to make a trip there. The video is amazing! Indian Beach in an amazing spot. 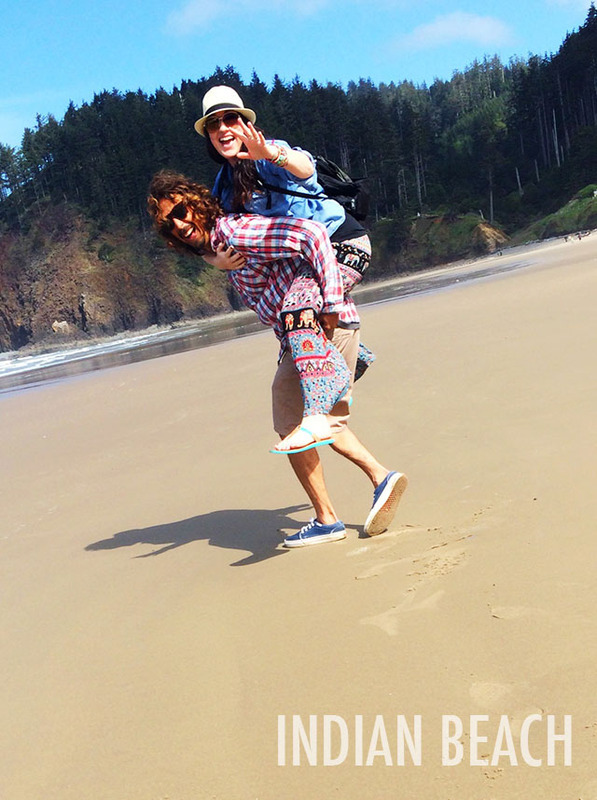 Since moving to Oregon it has been our go to beach fix. Looking forward to more summer adventure at the coast and also exploring Oregon's many swimming holes. If you are looking to discover options for natural swimming this summer I recommend Relan Colley's Oregon's swimming Holes app available at iTunes. You know, many places can be made to look beautiful in a video. But it really is that beautiful here, everywhere you look. Wow! What a fantastic post! Now I want to go visit there! I love the video. I watched it twice! It's heartwarming to see such a lively and loving family having fun together. 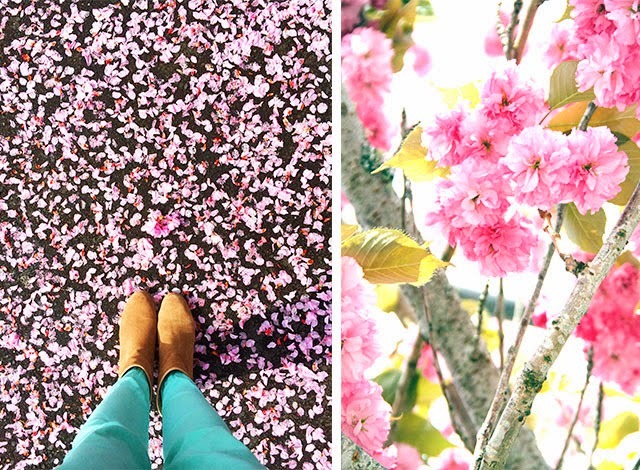 such beautiful pics!! we visited the Oregon coast a few years ago and this brought back great memories of that trip!! what a beautiful place!! While there is so much to love about your video and guide, I just had to call out the clip of Andy running past the barber shop - so fun! Thanks for all you share with us, Alisa. Nice video in a beautiful place! What beautiful places to visit in your state. Great pictures and descriptions. Hope to come one day to see some of them and attend your retreats. Love the sign post below, super cute and fun! Thanks for re-introducing me to my beautiful state. I live in the extreme southern part, and don't get up north much, but I think I need to re-visit some of those areas. Beautiful video, thanks for sharing! After your post I'd love to visit Oregon someday! Thank you, thank you, thank you. I lived in Portland, Or. for 16 years. 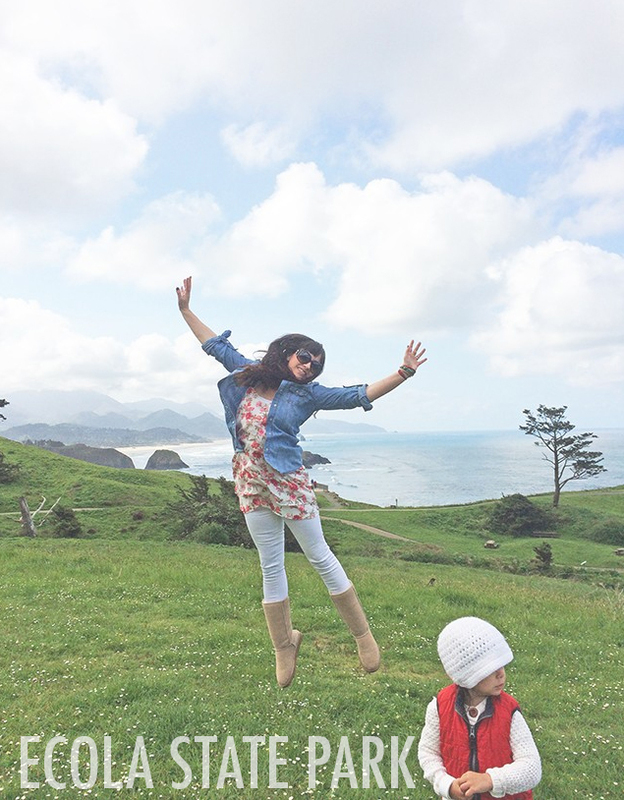 Tillamook (the cheese factory), Astoria and Canon beach or forever in my heart. I love your video! Can you capture every second of everything that surrounds you! Your area is beautiful, there are places untouched and pure: true Nature! LOVE your video, so happy and carefree. Must visit your part of the world soon. Love the video it's full of life! Great post and fun video! Some thoughts: Your little girl is sure growing up! The Chamber of Commerce should surely hire you. And....I have to get myself to Oregon one of these days! Alisa, every time I look at photos of your Oregon, I get the urge to visit. Being an East coast person, I am only familiar with the the New Jersey and Delmarva coasts. After seeing your coast, there is no comparison. Oregon looks beautiful. Would love to visit. flower power online class giveaway!